Hundreds of people- mostly of young age- from many countries, participate every year in the protection of sea turtles in Greece. What is it, that keeps them interested? ARCHELON’s project in Kyparissia Bay starts in the beginning of May. One of the largest breeding populations of the loggerhead sea turtle Caretta caretta in the Mediterranean, comes to breed in the marine waters and the sandy beaches of the Bay, every year. The loggerhead sea turtle is a protected species and there are regulations already in place, which aim especially to minimize the use of beach furniture, photo-pollution and movement of vehicles on the beach and dunes. This area hosted around 3.200 nests in the 2018 breeding season, it is part of the Natura 2000 network and since last October has been declared a Nature Protection Area under Greek law. Cooperation with local authorities and businesses is ongoing, mainly with those supporting sea turtle conservation, who implemented the protection measures for the turtles. Still, there are several pressures that need to be resolved. 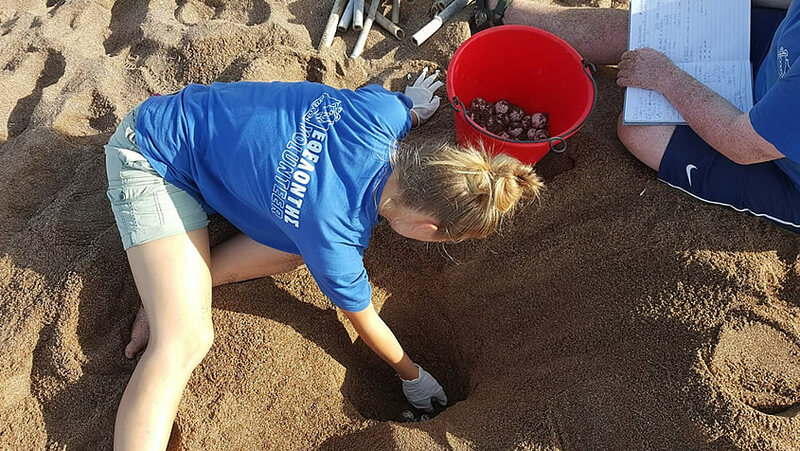 ARCHELON’s project is recording loggerhead nests, filling out the time series of previous years, and collecting population data in the area since 1983. One of the most important features of the Kyparissia project is that in 9,5 km of the beach, from Kalo Nero to Neda estuary, nesting is quite dense and about 2200 nests were laid there in 2018. Most of the nests were faced with pressures and would not have reached their final stage of hatching without specific nest protection. Sadly, there were many more sunbeds remaining on the beach at night compared to 2017, and during July and August their numbers were in the range of 300-400 every night. Sunbeds remaining on the beach at night do not allow the turtles to reach appropriated nesting grounds and as a result, nests are being made in vulnerable places and get destroyed. ARCHELON’s project implemented nest protection to remedy this type of pressure, as well as the problem of photo-pollution from private and public lights, which affect many nests in this area. Similar problems with sunbeds and photo pollution were also faced in the north part of Kyparissia Bay. In this part, a higher number of vehicles moving on the beach and sand dunes was recorded last summer, due to an unauthorized motocross racing event which occurred last May. Taking into account that about 80 hatchlings will come out of each nest, one can imagine that thousands of hatchlings would die of dehydration or get killed by cars, if it were not for these nests protected in ARCHELON’s project. Communication, public awareness, fund raising and environmental education are also intriguing for volunteers. About 8000 visitors of Kyparissia Bay were informed about sea turtles and the need to protect them last year. Information was provided in the Kalo Nero information kiosk and in presentations in hotels of the area. The ARCHELON Information Station of Agiannakis, with a permanent exhibition has been visited by 700 pupils last year. As for the science oriented people, there are interesting developments. 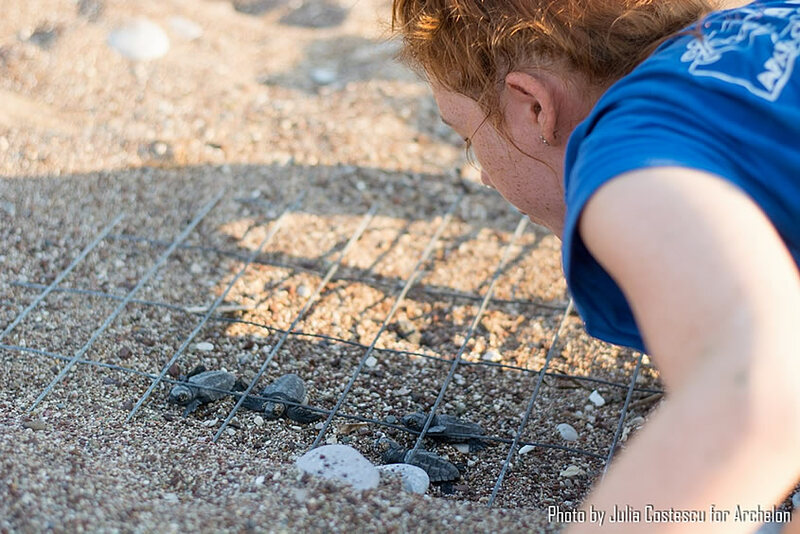 Last summer, ARCHELON’s team placed satellite tags on 9 female loggerheads. In the beginning of April, 4 of these transmitters continued to give the daily positions of the turtles on which they were placed. These 4 turles are still far from the Kyparissia Bay. The question is: when and where exactly will they re-appear to lay their nests? Satellite tagging is expected to continue this year in the projects of Peloponnese. 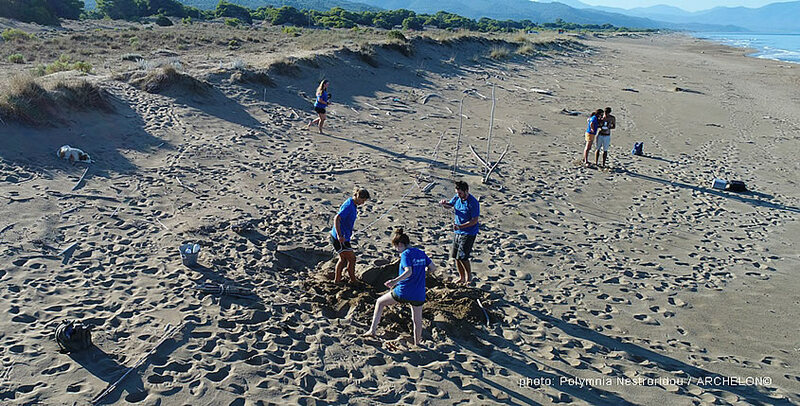 You can find info on ARCHELON’s summer projects on Zakynthos, Crete and the Peloponnese in our website https://www.archelon.gr.